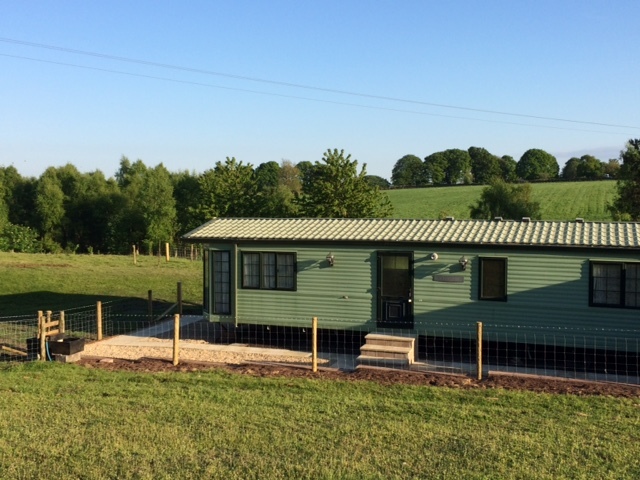 This Six berth static caravan, with double glazing and gas central heating, comes with three bedrooms, electric and has its own private area with parking and enjoys open views of Dufton Fell and the surrounding Whinfell Forest. Two three seater sofas, one with pull out double bed, 32″ LCD TV with freesat & DVD player, electric fire and central heating radiators. With access to kitchen and dining area. Fridge, freezer, microwave, kettle, toaster, gas oven & hob, sink, dining table and chairs. With access to lounge and hall. Central heating radiator. With access to bathroom, bedroom 1, bedroom 2 and bedroom 3. Full walk in shower, sink, toilet and central heating radiator. Double bed, fitted wardrobes, dressing table, hairdryer, alarm clock radio and central heating radiator. Twin beds, fitted wardrobe and central heating radiator. Private gravelled area with picnic table, garden furniture and barbeque. Free parking beside the static caravan. A specified amount of gas and electricity is included in the price *(see below and booking information for details), along with bed linen, pillows, bath mat and tea towel. A travel cot, highchair and/or bed guard are available upon request along with a small selection of DVDs and games. The static caravan is smoke free. *To ensure that our guests are not wasteful and are energy conscious, a limited supply of gas and electricity is included in the price. Neither supply will be stopped if these limits are exceeded, but an extra charge will be added to the bill and will be deducted from the good housekeeping bond. For details see booking information.